Everything you’ve heard about King Crimson is true. It’s an absolutely terrifying place. Blues rock with a contemporary grammar. 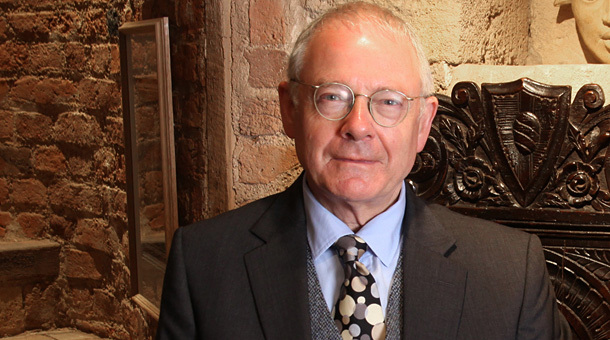 Robert Fripp is the Dark Lord of Skronk. The King of Evil Guitar. Dare ye look upon his face? This is the mild-manned, gentlemanly-looking guitar wizard who fried the minds of thousands of hippies when King Crimson supported the Stones in Hyde Park a few days after Brian Jones’s death. This is the man whose raging lead guitar on David Bowie’s Fashion is still divisive 30-odd years on, and was trimmed right back for the single mix. What makes Fripp such a glorious guitarist is his absolute lack of interest in the established grammars of lead playing. Listen to everything he recorded with King Crimson, everything he did with Bowie, with Eno, all his production work with Peter Gabriel, Daryl Hall and Talking Heads – find me just one blues cliche. Find me a convention that he doesn’t pull apart just for the fun of it before putting it back together with its legs where its arms should be. The spirit of Fripp is apparent in many guitarists. There’s some of that Frippian bloody-mindedness in Neil Young, in Johnny Greenwood, Andy Gill, Graham Coxon, Joey Santiago. 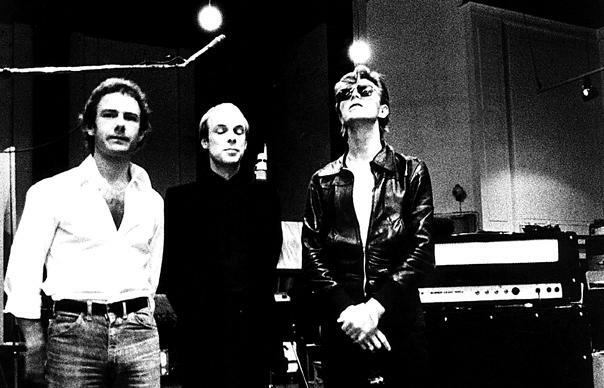 But Fripp’s commitment to his path is so thorough-going as to make him an almost entirely different sort of musician. Not for nothing did he name the first King Crimson album of the 1980s Discipline. Robert Fripp would be nowhere without it. He’s the guitar hero as research scientist rather than Dionysian mystic. But most Fripp-watchers recognise that while the reputation he has for severity and dedication to his craft and his muse is a justified one, audible in much of his playing, especially his playing outside King Crimson, is the joy of experimentation, the thrill of transgression. His solo at around 2.40 on the album mix of Fashion is the perfect exemplar of this. It’s a solo that could only be played by a tone-deaf beginner or someone who had mastered the instrument back to front and inside out. No one in the middle of those two extremes would begin to play such a solo. It has most of the elements we would associate with lead guitar playing: an ear-grabbing sound, some fast tremolo picking, interesting textures, string bends. Yet the result defies description and sounds like nothing else in rock music. If you’re not familiar with the man or his work, stop pussyfooting – get some Fripp in your life! This entry was posted in Gear, Music and tagged Andy Gill, Bill Bruford, Brian Eno, Daryl Hall, David Bowie, Fashion, Graham Coxon, Joey Santiago, Johnny Greenwood, King Crimson, Neil Young, Peter Gabriel, Robert Fripp, Scary Monsters, Talking Heads on December 22, 2013 by rossjpalmer.